While I was over in the UK, we stopped at a lovely haberdashery called Bedecked. They had all kinds of trims and ribbons and buttons, and I managed to escape without buying a thing. I was so proud of myself! 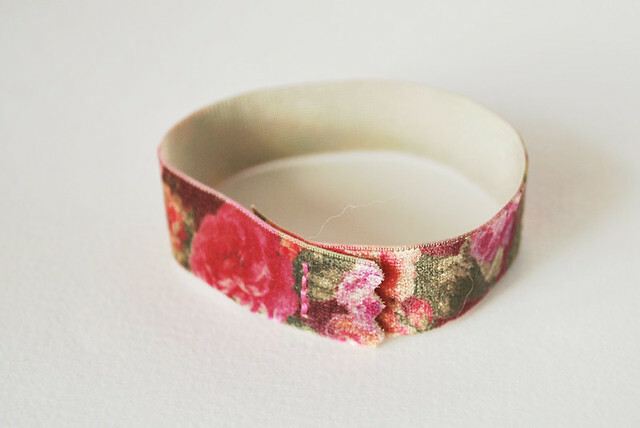 But then Katie showed me what she bought...and one of her choices was this floral velvety, elastic trim. I was smitten! And instantly I knew that it would be mine, and it would become a belt. 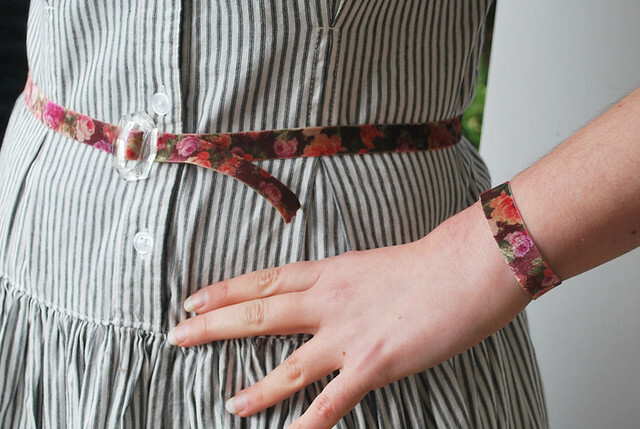 I remembered that I had some old belt pieces, and that there would probably be one that would look nice with the trim, and I remembered right! All I had to do was sew the elastic to the buckle. 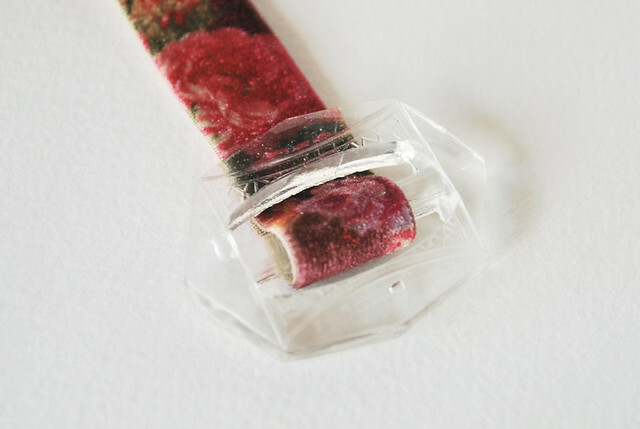 Because of the texture, it grips enough to hold it in place when I wear it. There was even enough left over to make a little bracelet! It stretches right around my hand to fit my wrist perfectly. 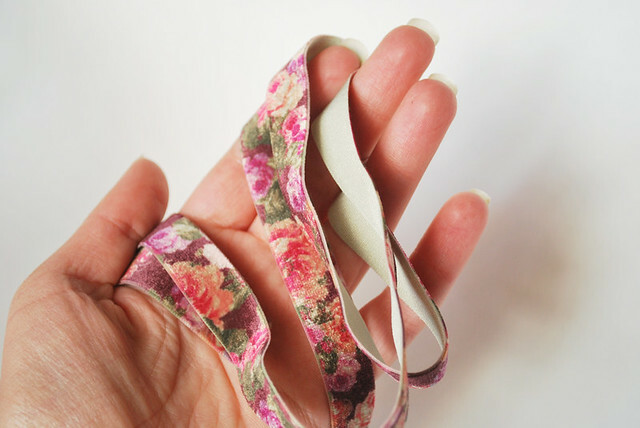 So far, this is the only patterned elastic trim that I've found like this, but you can find solids lots of places. Here's some from Etsy. 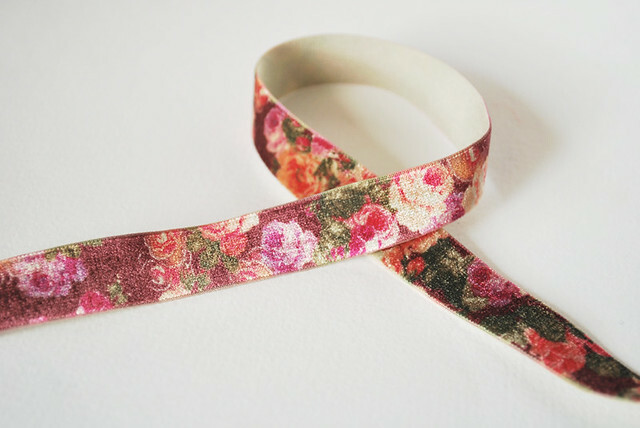 The good news is that you can order this particular floral trim directly from Bedecked. The bad news is it will cost quite a bit to ship it to the United States. I wish I was creative like that!